Is a longer length driver really longer? Think about that for a second. The very best players in the world, guys who hit the sweet spot on their driver as easily as most of us would hit water after falling from a cruise ship, guys who routinely drive the ball to distances that some reading this would need two swings to achieve are playing drivers upwards of 1.5″ shorter than what most of the rest of us have in our bags right now. Last season (2010) the majority of drivers we received for testing were outfitted stock with 46″ shafts. While there were exceptions, only one driver we’ve ever received for testing was shorter than 45.5″ (Titleist), and that was more than countered by another that actually measured in at 46.5″! Somewhat surprising considering the distance race the big OEMs are engaged in; for 2011 – and from what we’ve seen from the 2012 lineups – many OEMs have backed off driver length every so slightly (we’re seeing more 45.75″ than 46″ shafts), but I think most would agree overall shaft lengths are at historic highs. As you’ll see below, many golfers custom order clubs well above stock lengths. What they probably haven’t considered is that in all likelihood, their games are suffering for it. All of this begs the question; Are the Pros shorting themselves distance by playing shorter drivers, or have the rest of us, driven by the compulsive need to gain the fabled 10-15 More Yards, completely lost our minds? While it would be easy to blame the OEMs for the never-ending demand for more distance, the reality is, while the golf companies perhaps give us tools we don’t need, they do so only because we asked for them. It’s our prevailing willingness to accept the flawed equation that shaft length = clubhead speed = ball speed = distance … ALWAYS that has most of us hitting out of the rough much more often than we should be. To get a better idea of how pervasive the “longer than the Pros play” driver phenomenon actually is, we asked TaylorMade to provide us with some details about their custom orders from the last several years. While it’s not surprising that the most popular order, even among custom orders, is for standard length (45.75″-46″) drivers, what I found most shocking is that TaylorMade receives orders for drivers 2″ longer than standard at a rate of 2 to 1 over drivers 2″ shorter than standard. And while their most popular non-standard order is for drivers cut 1″ below standard length, TaylorMade still ships 2 drivers at 1″ above spec for ever 3 1″ below. In fact, over the last 3-4 years, TaylorMade has received nearly as many orders for drivers longer than standard length as they have for drivers shorter than standard. When you examine these orders, what you find isn’t a case of the OEMs pushing longer drivers on consumers; you can make the argument that it’s the consumer demanding longer shafts from the golf companies. “I rarely fit anyone into a driver over 45″ and often I build them shorter, I just did a 43″ build. People want to hit it farther but what we see in fittings is that clubspeed is useless if it cannot be turned into ballspeed. People have a harder time centering the ball in the middle of the club and so they get lower and lower smashfactors as the club gets longer”. The suggestion is that the average golfer would actually benefit more from playing a shorter driver. We’ve heard this same sentiment echoed time and time again from basically every fitter we’ve ever come in contact with. And yet despite a chorus of respected professionals telling us otherwise, the overwhelming majority of golfers are still bagging drivers longer than most club fitters would recommend. While golfers should probably shoulder the bulk of the responsibility, the OEM’s aren’t completely without blame. When you look at current product lineups, it’s actually the high-MOI, ultra-forgiving clubs…the ones designed for high handicap golfers (guys who struggle to produce consistent swings) that come stock with the longer (46″ shafts). High handicap golfers have basically been conditioned to believe that longer drivers provide more distance, and ultimately fit them better. Clubs designed for better players often come stock with slightly to significantly shorter shafts. What’s up with that? To provide the shafts for our tests we contacted UST-Mamiya. 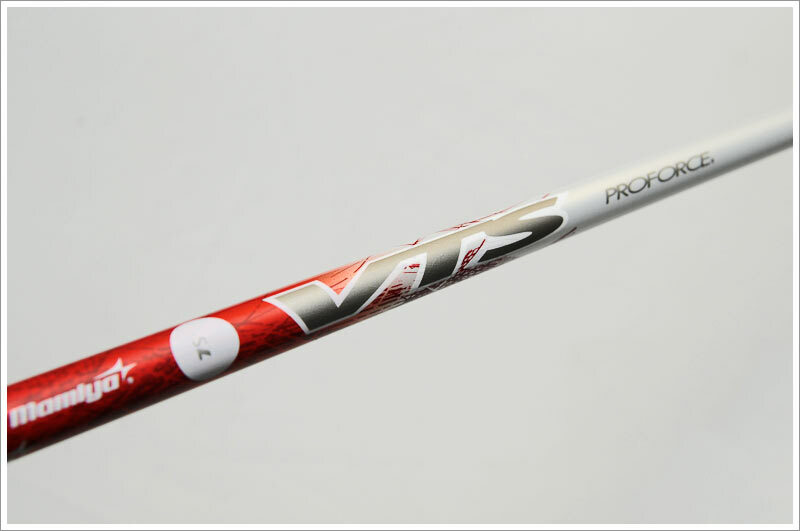 They agreed to provided us with 4 of their new Proforce VTS Shafts (2 – 65 regular flex, 2 – 75 Stiff flex). Though we didn’t undergo a full shaft fitting for this test, we were very interested to get our hands on the new VTS, which introduces what UST-Mamiya calls 3D Fitting. To provide the heads for our testing we reached out to TaylorMade to see if they’d be interested in participating. Since our test involves multiple shafts (multiple flexes, multiple lengths) it was important for the sake of consistency, simplicity, and expedience that we were able to quickly swap out shafts while using the same head for every shaft. TaylorMade’s R11 heads coupled with their Flight Control Tips matched that need perfectly. While we sometimes find the marketing a bit over the top, TaylorMade’s implementation of adjustability is almost without argument the most complete and user friendly on the market today. The simple fact that TaylorMade makes its FCT tips available for purchase by the consumer was a substantial factor in why we chose to approach TaylorMade first. Quite frankly we think every OEM should make their adapters available to the consumer. As it stands right now, TaylorMade is the only big OEM that actually does. At our requests, shafts in each flex were cut to 43.75″ and 45.75″ inches. We asked that each pair be frequency matched, and that the neutral bend point of each shaft be aligned to the standard/neutral position of the Flight Control tip. To test distance and accuracy, each of 6 testers was asked to hit a series of 12 shots with both the 43.75″ and 45.75″ drivers. In a perfect world testing would have been blind to eliminate any possibility of the placebo effect, however; let’s be honest…you’d have to be some special kind of oblivious not to notice a 2″ difference in driver length. difference of only 1.4 yards. distance gap of only ½ yard. other 2 testers posted more modest gains of .1 and .8 yards. speed with the longer driver. faster than what they produced with the shorter driver. MPH, and .1 MPH), but they are increases none the less. usually assume that more clubspeed equals more ballspeed. significantly shorter than any other tester. between 4.9 and 10.4 yards or (63% more accurate)! couple of strokes over the course of an average round. So…Should You Cut 2″ Off Your Driver? could actually increase your total distance as well. his game be custom fit for his equipment. effect the change will have on your driver’s swing weight. CPM per 2 grams of weight added). Tell me about the TaylorMade SLDR driver with its low spin and CG closer to the face. The new recommended launch characteristics by TaylorMade is 17* launch and 1700 spin. Wouldn't that have to require a driver swing with a fairly substantial upward angle of attack? This recent commentary from Taylor Made about the 17* launch and 1700 rpms spin is chiefly done to try to help market their Loft Up campaign to go with selling more of their currently offered SLDR driver model. Purely from a theoretical standpoint, it can be said that 17* launch with 1700 spin is an ideal combination for distance. But the key word is "theoretical". From a PRACTICAL standpoint, as you have asked, such launch numbers would require a very upward angle of attack which is simply impossible for 99+% of all golfers to even come close to. Even in TrackMan's research, for 100mph to 120mph clubhead speeds with +5* upward A of A, around 1700 rpms is optimum for spin, but the optimum launch runs from 12.4* at 100mph down to 10.3* at 120mph. So to get all the way up to 17* launch and still maintain 1700 spin would require something closer to a +10* upward A of A. And that is quite impractical - so impractical that this is why you can look at this Taylor Made 17/1700 campaign and label it as marketing, purely marketing in trying to fool golfers into spending their money for this latest SLDR driver. Give them 6-9 months and the SLDR will be history and something else will have taken its place in the marketing hype. Sadly way too many people hit shots on a launch monitor, see their spin is over 3000, ignore the launch angle and smash factor, and then obsess how to get their spin under 3000 to be like the tour players have. This is SO WRONG. First of all, only the Doppler Radar launch monitors can even read spin with decent accuracy. Second, 98% of the time the golfers are hitting RANGE BALLS when they get their spin number from an inaccurate launch monitor. Launch angle is KING when it comes to optimizing a driver for any golfer. And launch angle is most influenced by the loft. 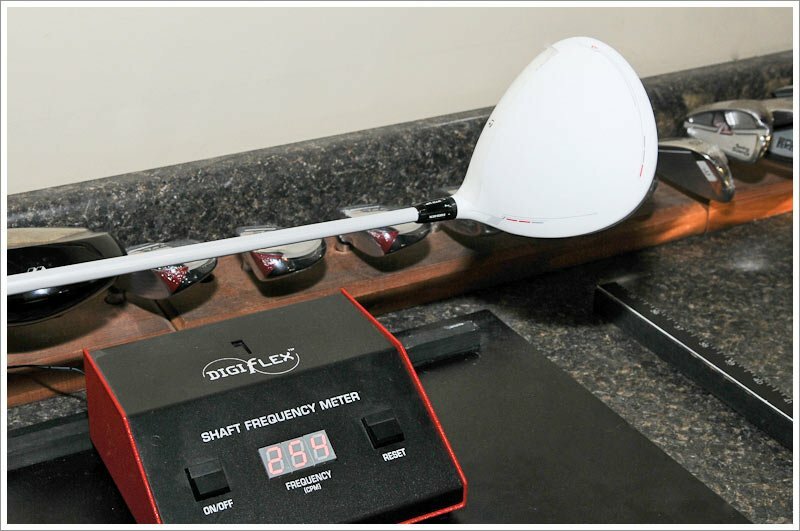 So if you focus on finding the right loft that brings about the best launch angle for a golfer's clubhead speed and angle of attack, you simply do not worry about spin because if a golfer has a spin problem it will be caused far, far more by swing errors than by anything related to the equipment. Tell me something about ball spin rates when hitting iron shots. Too much spin vs too little spin? In my experience, you really can't focus on the spin numbers you get from hitting shots on launch monitors. There are so few launch monitors that can read spin accurately AND consistently because this is without question THE most difficult launch parameter to read. Plus so many people hit shots on launch monitors using range balls or very worn balls so that too significantly affects the readings. What you have to do first and foremost with spin is to take the complete common sense approach - WATCH THE FLIGHT SHAPE OF YOUR SHOTS to determine if you do or do not have any spin issues. Too much spin always shows up as a fast rise up. followed by a steeper fall down, almost like you shot a duck out of the air. Too little spin never flies as far nor does it achieve as high of a trajectory. Good ball flight can still be a high trajectory but the travel of the ball is more parabolic and the downward flight is gradual and not super steep. Unfortunately if a golfer truly does have a too much spin or too little spin issue going on, the remedy 99 times out of 100 is a swing technique change and NOT a shaft or a clubhead change. Shaft and clubhead changes can only make SLIGHT differences in spin, not major changes. When it comes to CG differences in heads and spin, this is really not something that works very often for the main reason that the actual vertical CG location in heads of the same type of design (like among all forgings) is SO CLOSE from model to model that you just don't see anything close to a significant difference in spin or flight shape when jumping from one model to the next. 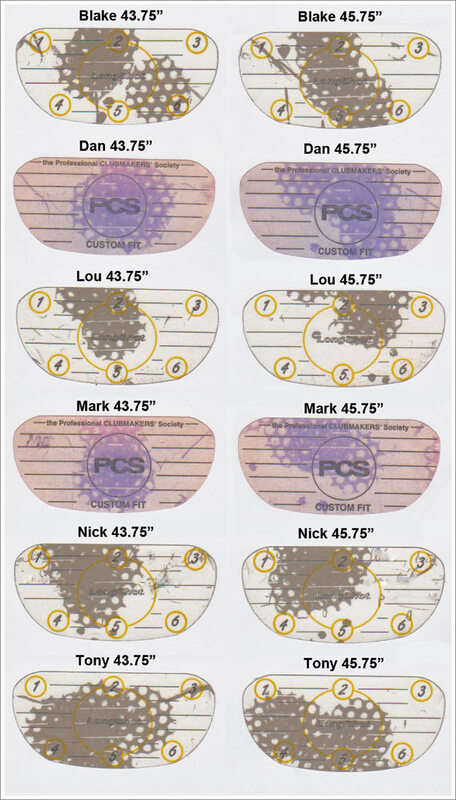 The reason is because so many of the models of the same type of head design are so close to each other in head height and sole width - the two most predominant design elements that affect where the CG is in the head. So do start looking more closely at your ball flight shape to first see if there is even remotely any issue with spin because seeing it with the eyes in the form of flight shape is much more reliable than trying to focus on numbers coming off launch monitors that can be very suspect in their accuracy.